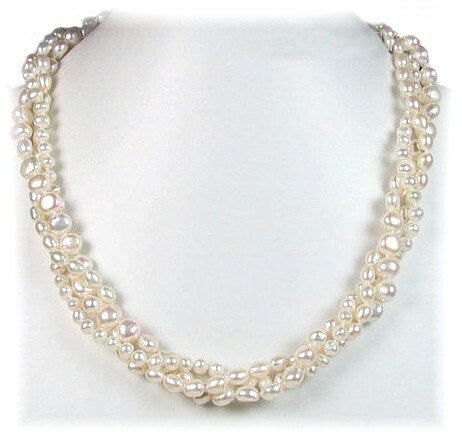 Three individual rows of 4-8mm, natural white, freshwater pearls, one consisting of oval rice pearls, one of chunky pearl nuggets and the final row is small circular perls. Wear them loose or twist into an exquisite Aloha-style necklace. Finished with a 925 Sterling Silver T-Bar. 41cm - 46cm (16" - 18").